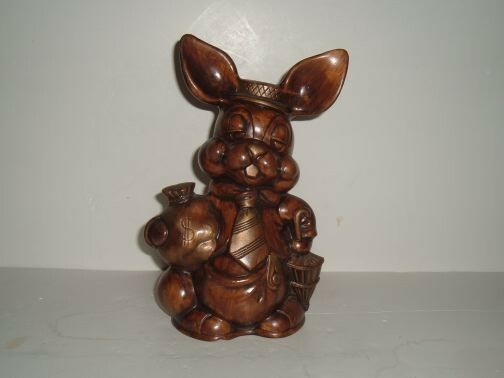 Rabbit with Money Bag and Umbrella Bank. Manufacturer is unknown. The manufacture date is unknown. The bank is marked: TiC copyright symbol USA. From a private collection the bank is in excellent condition.